The Sustainable Sites Initiative™ (SITES™) has announced the first three projects to be certified by the nation’s most comprehensive system for rating the sustainable planning, design, construction, and maintenance of built landscapes. The corporate headquarters of an international manufacturing company, a new university green space, and a children’s playground in an urban park are the first to be recognized for their sustainable land practices from among 150-plus pilot projects that began the certification process in summer 2010. These initial projects are the St. Charles, Missouri, campus of Novus International Inc.; the Green at College Park of the University of Texas at Arlington; and the Woodland Discovery Playground at Shelby Farms Park in Memphis, Tennessee. 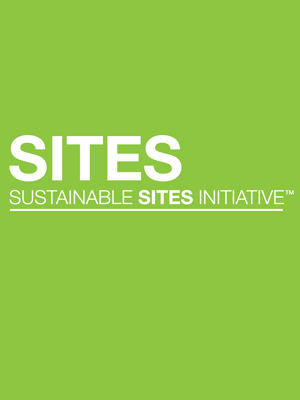 SITES is a partnership of the American Society of Landscape Architects (ASLA), the Lady Bird Johnson Wildflower Center of The University of Texas at Austin and the United States Botanic Garden. SITES was created to fill a critical need for guidelines and recognition of green landscapes based on their planning, design, construction and maintenance. The partners have collaborated since 2005 in developing a voluntary, national rating system and set of performance benchmarks for sustainable landscapes in areas with or without buildings. The certified pilot projects are participating in a pilot program begun in June 2010 to test the four-star rating system created by dozens of the country’s leading sustainability experts, scientists, and design professionals. Projects selected to be pilots are at various stages of development and represent a diverse mix of project types, sizes, locations, and budgets. The SITES rating system includes 15 prerequisites and 51 additional, flexible credits to choose from. The credit options, totaling 250 points, address areas such as the use of redeveloping brownfields or greyfields; soil restoration; water conservation; use of recycled materials and native vegetation; and sustainable construction and land maintenance approaches. Certified pilot projects are recognized with one through four stars for obtaining 40, 50, 60 or 80 percent of those 250 points. The Novus headquarters, the Green at College Park, and Woodland Discovery Playground SITES Certified Projects received a 3-star, 1-star, and 1-star rating, respectively. 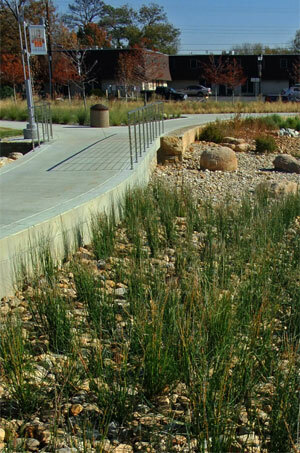 Among the features Novus developed with SWT Design and others for the 9-acre headquarters was a parking lot with stormwater retention features, a walking trail that winds through restored prairie and other habitat, and a vegetable garden that staff maintain. The garden is fed by a windmill-powered well that retrieves rainwater stored underground. 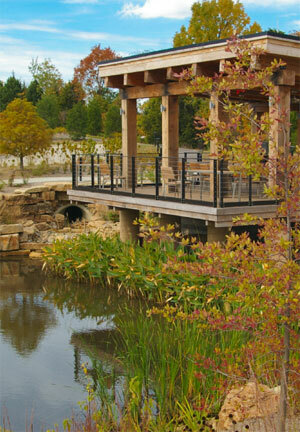 A detention basin captures stormwater on site and provides aquatic habitat and a scenic view from a nearby pavilion topped with a vegetated roof. “The innovation and analytical thinking of these first certified projects is helping point the way for the next iteration of the guidelines, which will form the basis for open certification in 2013,” said ASLA Executive Vice President and CEO Nancy Somerville. Landscape architects and engineers with Schrickel, Rollins & Associates designed sustainable features at The Green at College Park in downtown Arlington, including a gathering lawn, shade arbors and drainage gardens. David Hopman, an associate professor of landscape architecture at UT Arlington, led the effort for SITES application and worked with the designers documenting development of the roughly three-acre green space. The site had served mostly as a parking lot, with poor stormwater drainage that flooded a nearby creek. Now the green space sits next to Arlington’s first mixed-use development and features native and adapted plants in rain gardens and a water detention system that help slow down the flow of stormwater. That process cleanses the water of impurities and captures it for re-use on the green space’s new vegetation. The conservancy that oversees Shelby Farms Park developed the Woodland Discovery Playground with James Corner Field Operations and others to restore a woodland and promote children’s health. 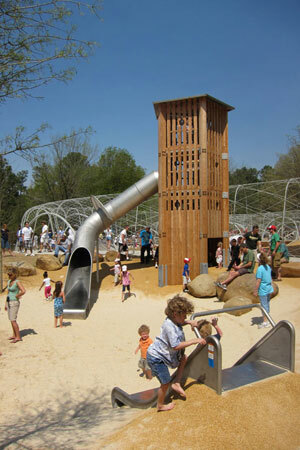 The 4.25 acre playground with tunnels, swings and other amenities was developed based on current children’s play theories and after workshops with children and adults. It uses recycled athletic shoe material as a surface for several play areas and loose, recycled boot material as a soft landing under a playroom of nets and tree houses. The permeable surface material allows stormwater to soak into the ground to help nourish an arbor enhanced with native trees that surrounds and links playrooms within the space. SITES will continue to receive feedback from the SITES Certified Pilots and the remaining pilot projects until June 2012. These projects include private residences, streetscapes, industrial complexes, and other settings. Their input as well as the public’s will be used to finalize the rating system and reference guide, expected to be released widely in 2013. Visit SITES to learn more. Any project can apply to be certified starting in early 2013. For those interested in pursuing SITES certification, start collecting documentation now. Image credits: (1) SITES, (2) Novus International Headquarters, Novus International / SWT Design, (3) The Green at College Park, University of Texas at Arlington / Schrickel, Rollins and Associates Inc, (4) Shelby Farms Park, Woodland Discovery Center / James Corner Field Operations. Next Article Who Protects Your Historic Landscape? What a great program.I’m going to look into getting some of our incoming projects certified.